Welcome to The Loft Pizza Pub!! Located in the heart of Historic Downtown Whitewright. Whether you’re looking to dine-in or pick up to-go, we will satisfy your hunger through the use of quality ingredients and great customer service. 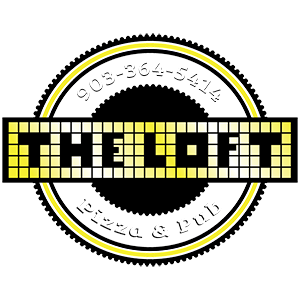 The Loft Pizza Pub caters to families, businesses, sporting teams, and more. We have a variety of menu items including our superior hand tossed dough, fresh burgers made to order, homemade pastas, wings with sauces from scratch and MORE! At The Loft, we strive for customer satisfaction. We will continue to grow and surpass our previous best. Come on in and try us out today!